Remote Handling is one of ITER’s most fascinating technology chapters. Not only because of the futuristic man-in-the-loop robotics combined with virtual reality, but mostly because of the new unchartered territory that industry and engineers will enter. Maintaining the ITER machine by deploying lengthy robotic arms; using tooling to cut and weld in tiny spaces filled with equipment; lifting heavy loads with precision are tasks that unleash our imagination. How will all this be possible in fusion’s biggest Babel Tower? Europe will deliver the remote handling systems of the ITER Divertor;Neutral Beam cell; Cask and Plugs and its in-vessel viewing. Japan is responsible for the ITER Blanket remote handing system, which will be hosted inside six of the casks delivered by Europe, and ITER Organization will have to integrate them all and follow their operation. 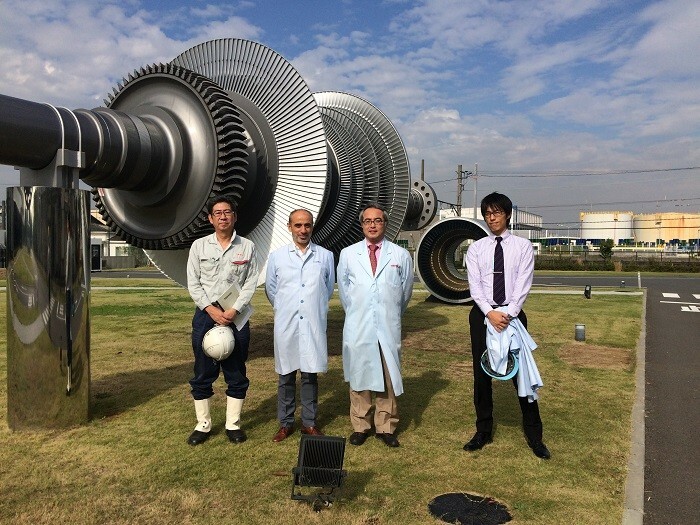 At the margins of ISFNT, the international fusion technology symposium recently celebrated in Kyoto, F4E’s Carlo Damiani, heading the team of Remote Handling, took the initiative to meet with counterparts from Japan’s ITER Domestic Agency and some of its suppliers working in this field. “Now that Europe has placed all of its contracts in this area, it is important to build bridges with the suppliers of other ITER Parties to promote more co-ordination and standardisation” he explains. A visit to Toshiba, entrusted with ITER’s blanket wall remote handling system, was planned to receive an update on the progress of the works and exchange information on the procurement of the European components.The milestones and the delivery of equipment highlighted the need for a more integrated schedule so that all ITER Domestic Agencies with their companies and engineers are in the loop. Europe made also the case for various robotic applications, used in the control system area among others, which could help Japan’s ITER Domestic Agency and Toshiba to address some technical challenges.